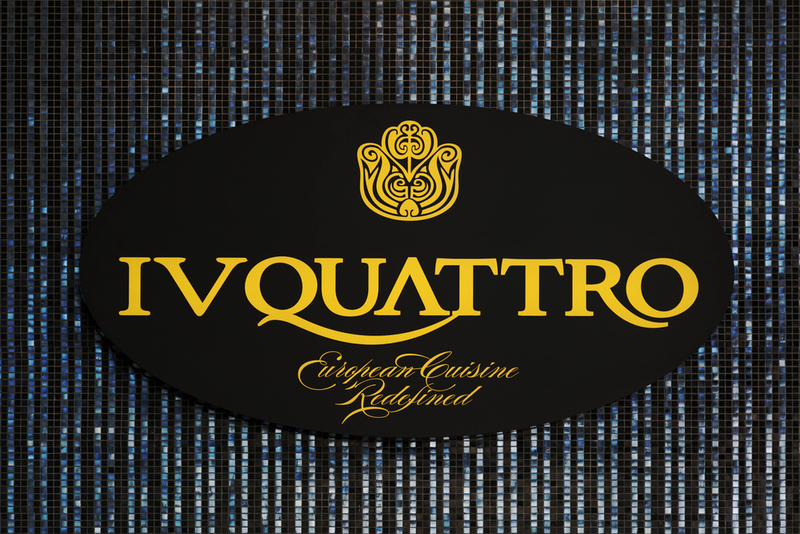 Opening its doors in january 2015, the ‘IV quattro‘ restaurant, located in duabi’s burj boulevard, united arab emirates, redefines the european cuisine by fusing four different gourmand menus: french, italian, spanish and portuguese. 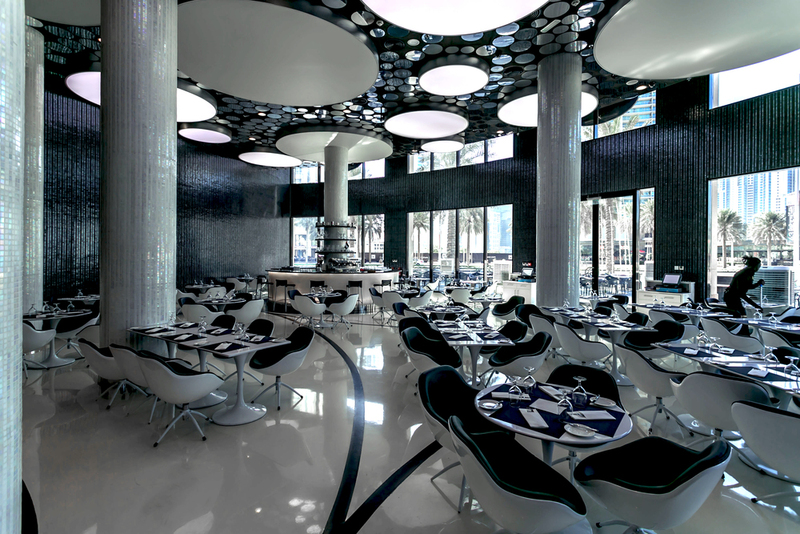 this unique mediterranean range of aliment is reflected by the mirrored dishes hanging from the ceiling, which represents the sea’s map. 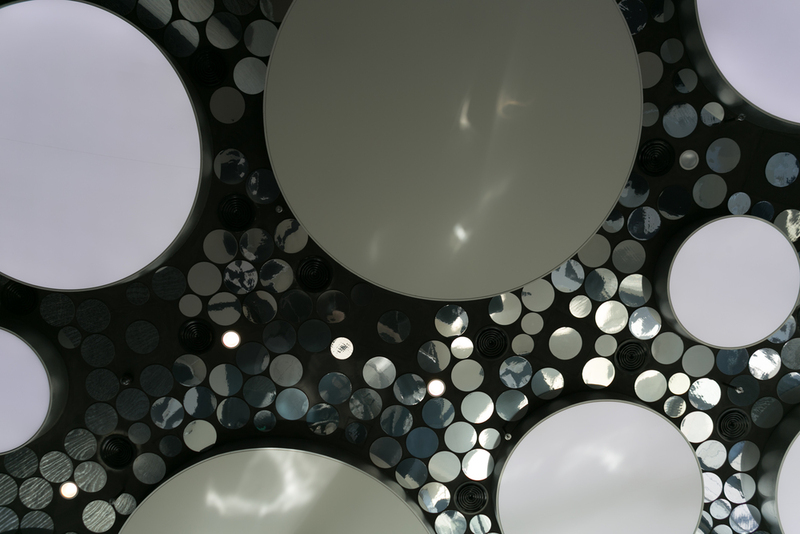 in theme with this, the walls are entirely covered by a shining mosaic which reminds quests of the water. these features, as well as the black and white colors that pay homage to the emirates client’s dresses, promotes an interior design, created by NáBITO architects, with a luxury ambiance, showcasing simplicity and elegance.